If you are preparing and planning for the big day, firstly congratulations. We can help you with all your wedding travel arrangements, whether you have guests arriving via the airport or train station or you require your guests to be ferried between the church and the wedding reception we are here to help. Whether it’s for the bridal party or your wedding guests, we have the ideal London wedding chauffeur or UK Wedding chauffeur to suit you on your special day. All our luxury high end cars can be decorated as per your requirements and hired for the whole day with numerous pick-ups, an impromptu London Sightseeing Tour four out of town guest or for a single journey to and from airports, hotels or wedding venues. WEDDING CHAUFFEUR SERVICES LONDON. As well as ferrying your wedding guests to and from the church on time, we can cover pick ups and takes guests or even the newly wed honeymoon couple off to the Airport. As our Chauffeur Wedding Service in London also covers transfers to all other airports across London and the UK as well as a complete on the day wedding car hire service. We also cover the whole of the United Kingdom and Mainland Europe, so you can be assured that wherever your destination, event or need, our experienced drivers and chauffeurs will get you to the church, on time, relaxed and in style on your special wedding day. Professional Wedding Chauffeur Service London. At Danex Drive Wedding Chauffeurs we pride ourselves on going out of our way to ensure that each client receives a tailor made, professional and luxury service to suit their individual requirements and needs on their wedding day. So whether you are a high ranking executive or entrepreneur - or simply surprising your daughter for on her wedding day - from a simple airport pick up or London transfer service to a 5* wedding celebration, we can guarantee to offer the best wedding chauffeur service in London at prices to suit you and your pocket. 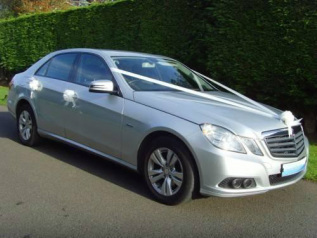 Wedding Car Hire London Mercedes Luxury vehicles for your wedding. Arrange Luxury Car Transport for all your Wedding guests and don't forget the bride and groom. Executive Business Travel with our London Chauffeur Service and Luxury Driven Cars. Getting you to your business meeting in style and on time every time. Private Vehicle Hire for Sporting Events, Special Occasions, Concerts and West End Show. Choose our V.I.P. Chauffeur Hire to make a special day even more special and simple.